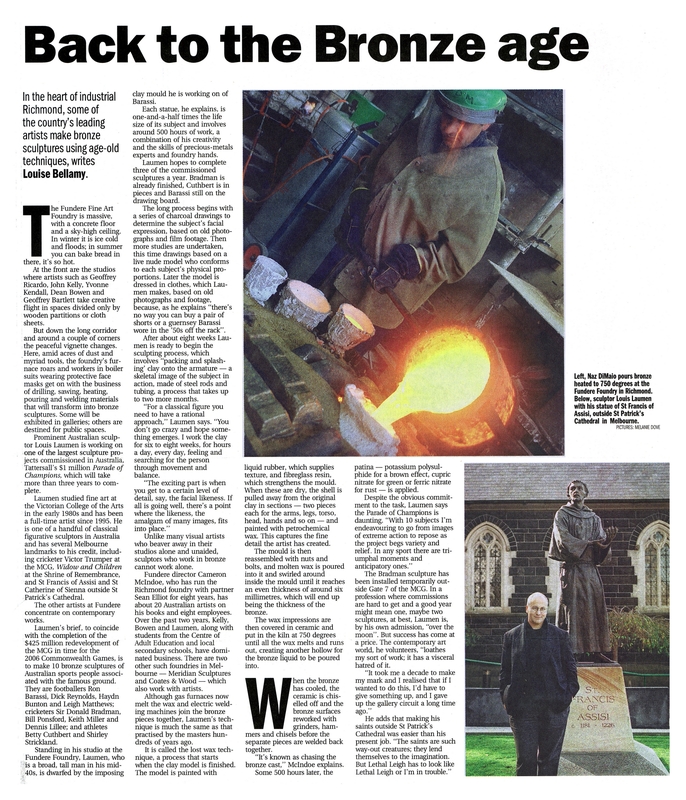 Newspaper article about the work of Louis Laumen, the sculptor responsible for the Parade of Champions in Yarra Park, Victor Trumper at the MCG, and St. Francis and St. Catherine at St. Patrick's Cathedral. Photos. The Age, 14 June 2003, Review, p. 7.